I am an addict… specifically, an alcoholic… and I am enjoying a sober life. But addiction is ever present. It rears its ugly head in many areas of my life. Of my many addictions, there are also what I like to call “vanilla” addictions. By this, I am referring to addictions which are not quite as harmful to me as my addiction to alcohol, but are present nonetheless. 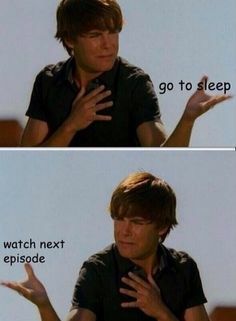 For example, I am addicted to Netflix. My 19 year old daughter and I will watch tv shows non-stop on any given Saturday. We will look at each other at 11pm, and wonder if we can make it through another episode of Grey’s Anatomy! Okay, okay… so there is an underlying point to this absurdity. In all seriousness, there is a theme present in the show, Grey’s Anatomy, that is incredibly relevant to an alcoholic like me. I have seen all of the shows over the years, but my daughter has not. So as we watched season after season, over the course of only a few weeks, my daughter made comments about one of the main characters… Chief Webber. You see, Chief Webber was this full of life, inspiring character, who was also a recovering alcoholic with long term sobriety. He leads his hospital with integrity and fierce determination. Over the course of a few seasons, you watch his character deteriorate. He becomes dark, withdrawn, and unfocused. My daughter commented that she simply “didn’t like him anymore”. It comes to light that the Chief has been drinking again. This explains the change in behavior. His portrayal of an alcoholic in the throes of relapse is astounding, and spot on. In fact, my daughter, upon realizing this, looked at me and said, “Mom, this is exactly how you acted before and right after your relapse”. It made me seriously examine my own behavior in the months leading up to my relapse. I was relapsing long before I took that first drink. I was dark and shaken. The behavior I exhibited was much like the character on the show. The only way I can explain it now, is that it was as if the light in me had just gone out. The sparkle in my eye… the one that showed up as I got sober… had disappeared. Getting sober again after a relapse can be difficult. You suddenly know exactly what it is you are giving up by going back out. You have tasted sobriety… and it was so damn good. But you gave it up for the old, sad life you were living. It is frightening. As Chief Webber said on the show… “It’s good to be scared. It means you still have something to lose.” So today, I choose to allow myself to have just a little bit of fear. Fear keeps me on my toes, and it makes me realize that I do have something to lose. In fact, I have everything to lose.